Key Guyer regularly enjoyed a cup of coffee while looking out onto Marriott Marquis’s Marina. The dockmaster is retiring after 10-plus years of service at the marina. Ken Guyer, a war veteran and fire department retiree, finishes his professional career with retirement from marina management. SAN DIEGO — The longest-serving dockmaster at San Diego’s Marquis Marriott Marina is riding off into the sunset, calling it a career after spending decades in the recreational boating universe. Ken Guyer will retire from his role as dockmaster on Sept. 30. He was named dockmaster of the Marquis Marriott Marina, home to 446 slips, in 2006. Frank Quan, who previously served as the harbormaster in Oceanside, will take over Guyer’s role on Oct. 1. Guyer’s 10-year tenure at Marriott Marquis Marina caps a 53-year career as a war veteran, fire department professional and marina manager. 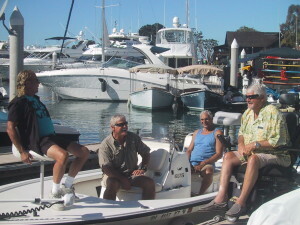 During his time at the Marquis Marriott Guyer said the marina developed into one of the best communities in San Diego. The docks were regularly filled with an economically and socially diverse group of boaters. “A marina manager is really a mayor and a sheriff. It’s a community,” said Guyer. The local maritime community will still be able to connect with Guyer here and there. During retirement Guyer plans to embark on several cruises with his wife, including a cruise from San Diego to New York. When he is not aboard a cruise liner Guyer might be lending a hand to the Midway and Maritime museums. Guyer might even write a book during his newfound free time, detailing his many experiences from the Vietnam War to spending days on San Diego Bay. His love of the water actually goes back to his service in Vietnam. The war might have affected him physically – Agent Orange left him to be fully disabled – but when he returned to the states Guyer found peace in navigating local waters and enjoying the surrounding environment without the worries of battle. He started working on San Diego’s waterfront in 1974, first at a boat rental business in Mission Bay and then aboard the local fishing fleet. It was not long before Guyer became a licensed captain. Among his many boating activities included skippering Stars and Stripes for three years in the late 1980s. After spending time in the San Diego Fire Department Guyer moved to working waterfront fulltime. He became interested in marina management after working at Chula Vista Marina. Shortly before his tenure at Marriott Marquis Guyer was a co-producer of the San Diego Boat Show. 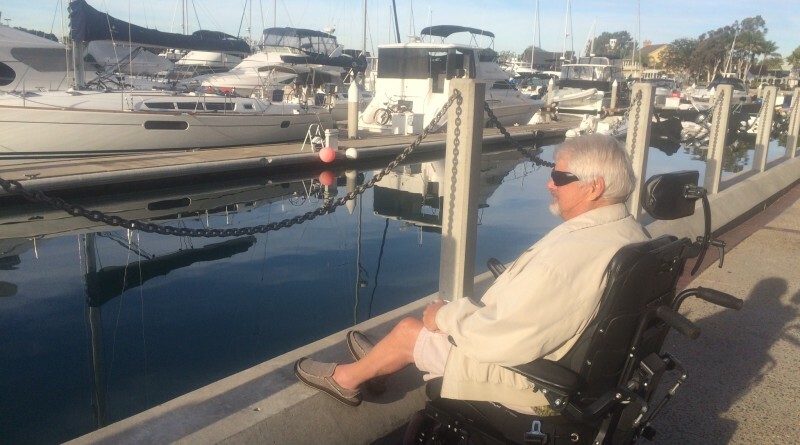 When he wasn’t managing marinas Guyer served as a voice for recreational boaters on the Port of San Diego’s Harbor Safety Committee. Guyer added the biggest highlights of his time at the Marquis Marriott was when the hotel and marina hosted the VA Summer Sports Clinic for five years. 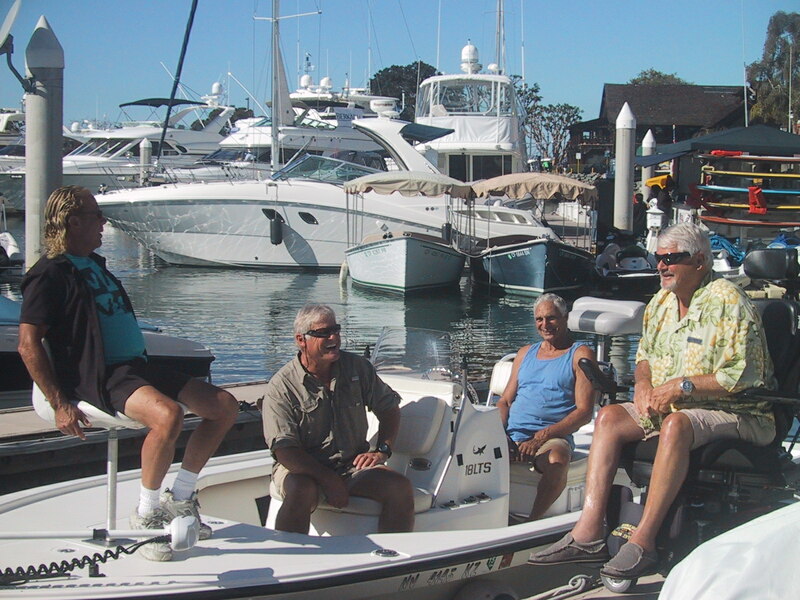 Through it all Guyer reminisced on how San Diego’s recreational boating community has evolved. There was a time, he said, when 90 percent of local boat owners were everyday recreational boat owners. San Diego’s boating population looks a little bit different today – and he emphasized the population is just different, not necessarily for the better or worse. The traditional boater still makes up 60 to 70 percent of the boating population, in Guyer’s estimation. He believes these numbers would remain steady through at least the next decade. Within that decade the Port of San Diego could witness several changes. Within the Marquis Marriott alone several renovations are being made. Perhaps the marina would one day undergo a full-on rebuild and include space for a megayacht dock. Guyer is also excited about the Seaport Village plans, adding the area needs to be made into something people can enjoy. The retiring marina manager also shared his thoughts on attempts to reduce San Diego Bay’s copper load through a Total Maximum Daily Load (TMDL) mandate. When all is said and done, though, Guyer said being on the water was the best office space he could possibly find. “Done a lot, seen a lot, but I don’t think I could ask for a better career choice than being in the water,” said Guyer.